Nothing else happens unless a technician knows technical things. This may sound obvious but the sad reality of the appliance repair trade today is that many “technicians” don’t know the things that real technicians are supposed to know: basic electricity, analog and digital circuits, reading schematics, technology used in modern appliances, microcomputer control systems, troubleshooting, etc. Many techs who have been doing appliance repair for 20+ years think they know the basics but, in fact, most do not- they literally don’t know what they don’t know. It is possible, even common today, for techs to have 20+ years of parts changing experience without knowing very much about the basics. We teach all the basics and much more in the Fundamentals of Appliance Repair training course. Knowing the basics is critical but a good tech will also carefully READ the service manual or tech sheet to understand the theory of operation, specifications, and technology used in that appliance. Most techs are sloppy readers. They’ll quickly scan through a service manual or tech sheet and say they’ve “read” it. That’s not what I mean by RTFM. We have to read technical literature differently from the way we read a pulp fiction novel. Reading technical literature is not about speed reading. It’s reading and processing the information, forming a coherent understanding of how the appliance systems and circuits are supposed to function. Where do you get technical literature? From manufacturers if you are an authorized warranty servicer. If not, you can become a Professional Appliantologist member at Appliantology.org and search, request, and download all kinds of technical literature from most of the major manufacturers. Think about the word, “technician.” The root of that word is “technic” as in “technicality” which implies details. Our very job title says that we are all about details. That means that we, as true technicians, have eyes and ears honed by training and experience that see and hear things that elude unskilled eyes and ears. We pay attention to details to look for clues when we’re troubleshooting, disassembling, and implementing the repair. We need a system for every aspect of our profession and/or business. At the Master Samurai Tech Academy, we teach a system of troubleshooting called the Ten Step Tango™, which you can learn for free. The benefit of having a troubleshooting system is that it gives you a structured framework for organizing your thinking and bringing it to bear in solving an appliance problem. You may know the basics and have access to the service manual or tech sheet but unless you can bring all that to bear on a specific problem, you won’t get it fixed. That’s what the Ten Step Tango™ helps you do. Conversely, a troubleshooting system by itself won’t do you much good unless you know what real technicians are supposed to know, like the basics described above. In business, you want systems for things like answering the phone, scheduling service calls, conducting the service call, and setting job prices. All of this is taught in our Modern Business Management course which is included at half price in our Business Bundle. 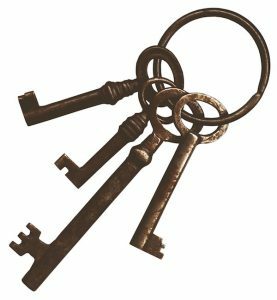 Be honest - are you missing any of the Four Keys? Master Samurai Tech has helped many techs, from newbies to seasoned veterans, fill in the gaps and acquire the keys to appliance tech greatness.